In April 1775 after word of events at Concord and Lexington Mass., Royal Governor Lord Dunmore, fearing insurrection by the townspeople, removed powder from the magazine. 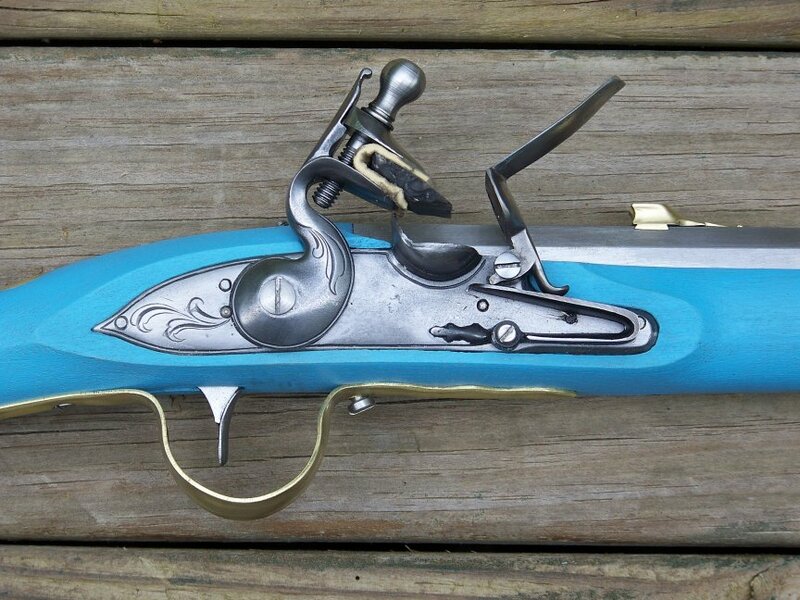 The Boy's Militia Company of Williamsburg, in response to the governor's action, broke into the magazine and removed blue painted trade guns. When they entered, they set off a trap gun which wounded several of the boys. No information survives on how many guns were taken or the fate of the wounded boys. and did perform all the evolutions of the manual exercise far better than the soldiers who were daily arriving from the adjacent counties; that their captain, Henry Nicholson, was about 14 years old." 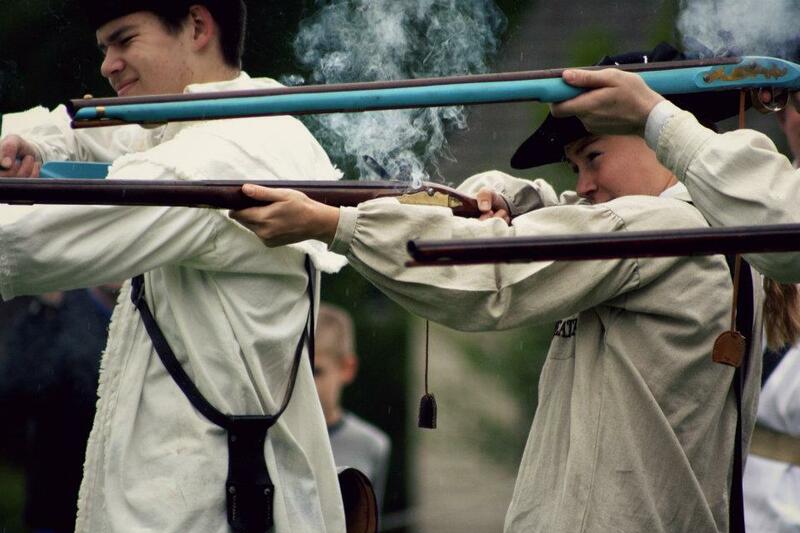 Being young boys they probably choose the trade guns over the muskets due to the weight difference. 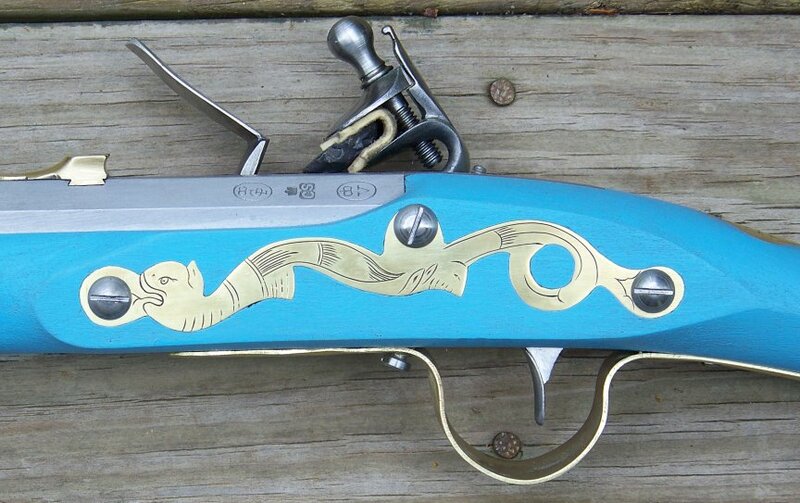 The trade gun is 6 to 7 pounds compared to the 9½ pound musket. 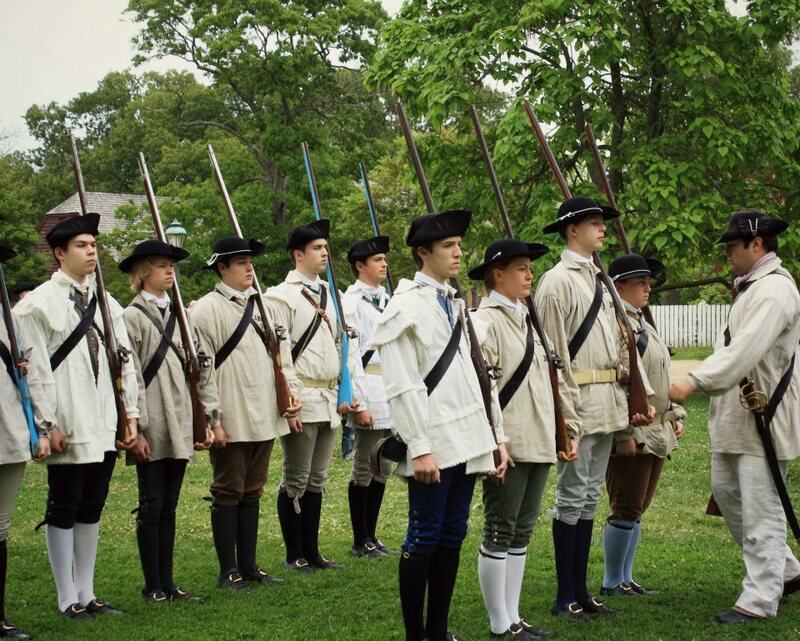 Colonial Williamsburg has resurrected the Boy's Company and these guns have been issued to the new company. 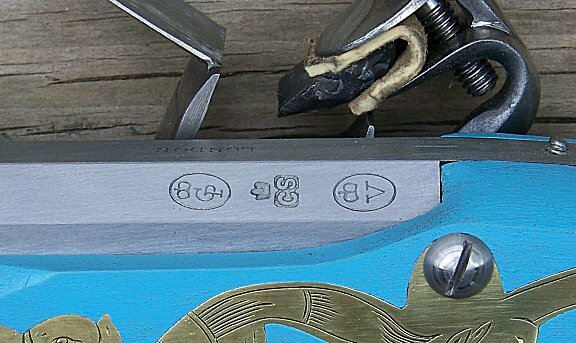 No information survives on what the trade guns the Boy's Company took looked like so I made these as a typical import style with brass parts copied from parts dug up here in Virginia. 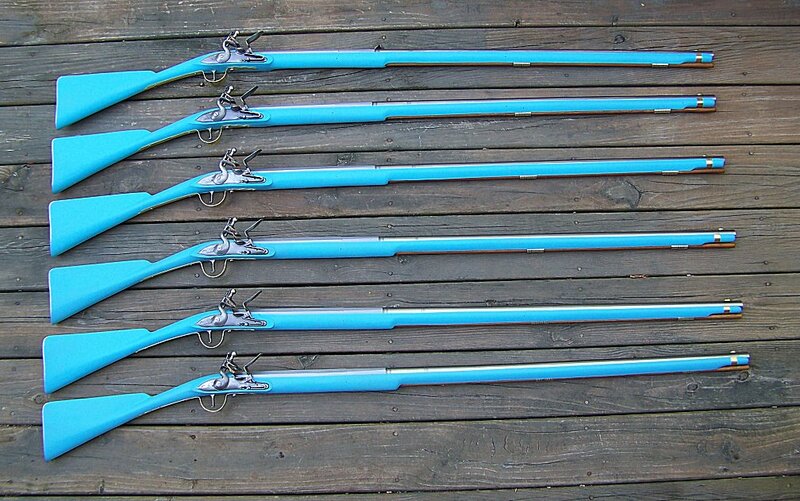 The color of the paint was taken from samples used on various pieces of furniture, wagons and carts of the period. 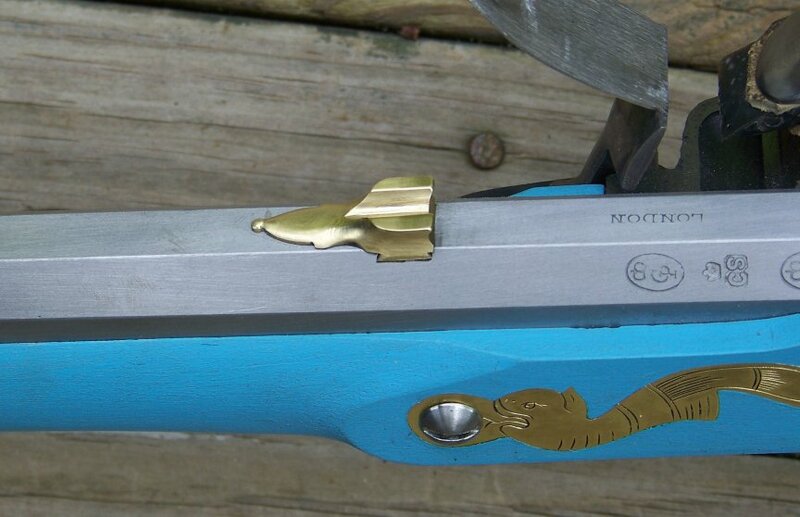 The barrels are 20 bore (gauge) and 42" long. Weight is 7½ lbs. Also available in Oxide Red or Spotted. 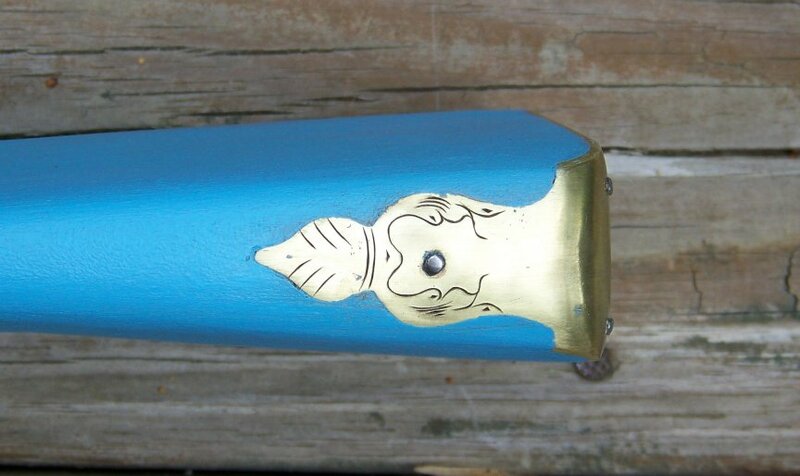 All three finishes are documented to the mid 18th century.